So much talk has gone on over the years about the effects of the Television on children. 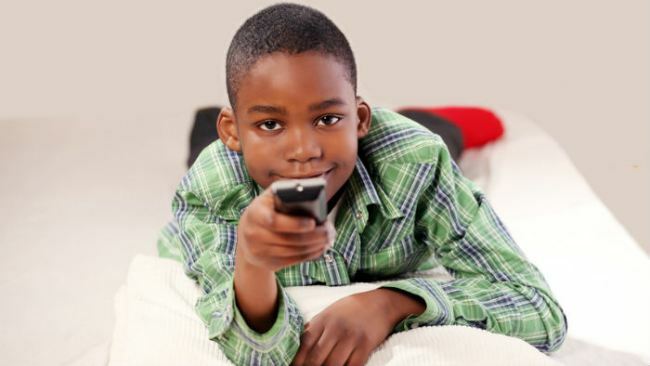 While some believe that there should be zero TV time, and others believe in controlled TV time, the two sides agree that TV can have either a positive or negative effect on children. As a mom, I noticed that TV causes a whole lot of distractions for my kids, so I limit TV time to weekends only or during holidays. My kids have come to terms with it, the only thing they are allowed to see on TV during the week will be documentaries, news [not all news are child-friendly too, so this is with supervision], or sports, and also with supervision. With television being such an integral part of our daily lives, it’s almost impossible to completely banish it from our child’s life. Encourage children to cultivate the reading habit. Finally, set a good example by limiting your own television viewing. If as a Mom, we spend every waking minute tuned to African Magic, our kids may not take our TV boundaries very seriously. So, TV or No TV? It’s really your prerogative as a Mom, do the right thing for your child. ⟵Monday Motivation – What Is Holding You Back?